The Global Immersion Programme at the University of KwaZulu-Natal in Durban offers international students the opportunity to visit an area rich in cultural diversity and history for an intensive study programme between the June and July holidays. KwaZulu-Natal has a rich cultural heritage. Khoisan-speaking hunter-gatherers, who lived in the region until the 19th century, left one of the most spectacular legacies of rock painting to be found anywhere in the world. The African population is largely Zulu speaking, with a recorded history dating back to the African kingdoms of the late 18th century, including that of Shaka, the legendary Zulu King. Iron-age sites suggest that their ancestors settled in the region as early as the second or third centuries AD. Today, the region has a sophisticated economy, with modern communication, education and health infrastructure, and provides a microcosm of the changes which post-apartheid South Africa is experiencing in business and in the fields of government, agriculture, health, housing and education. 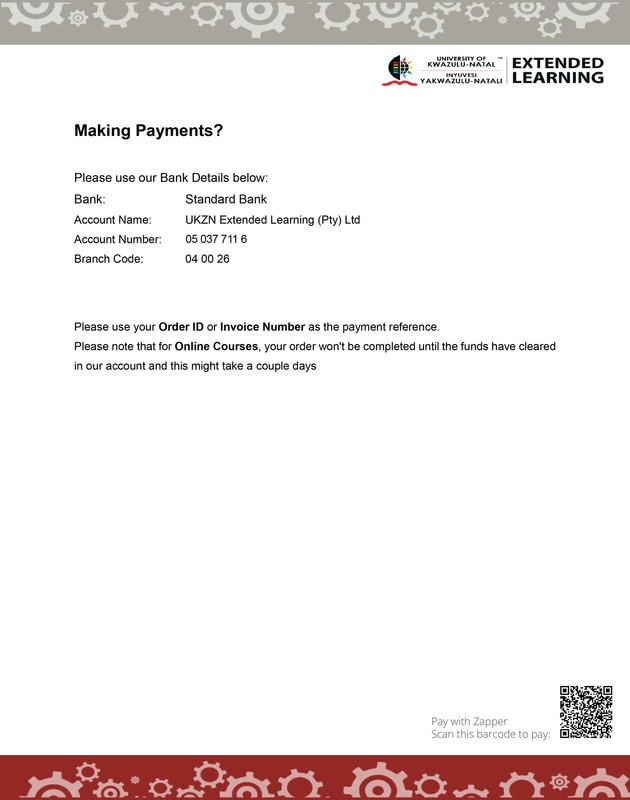 © 2019 UKZN Extended Learning (Pty) Ltd. All Rights Reserved.